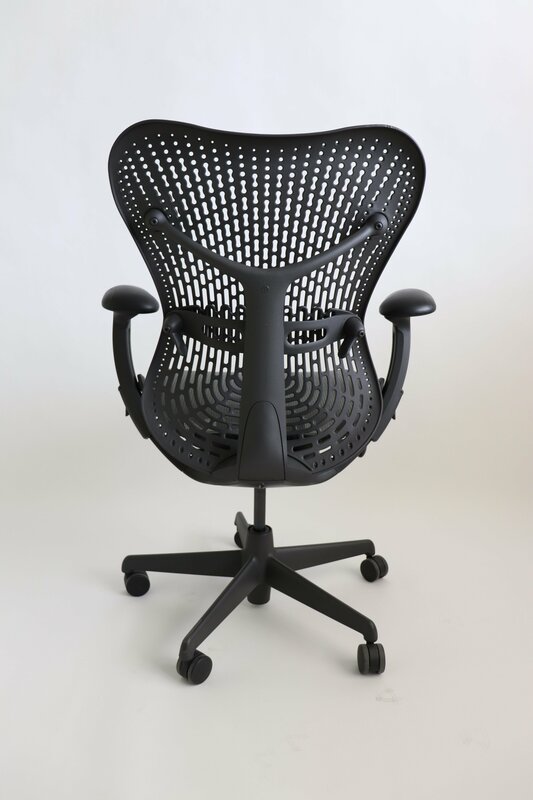 This chair has a Grey Airweave seat-suspension material that is lightweight and breathable and evenly distributes the user’s weight over the seat of the chair. The Graphite TriFLex back provides flexible and continuous support while providing airflow. 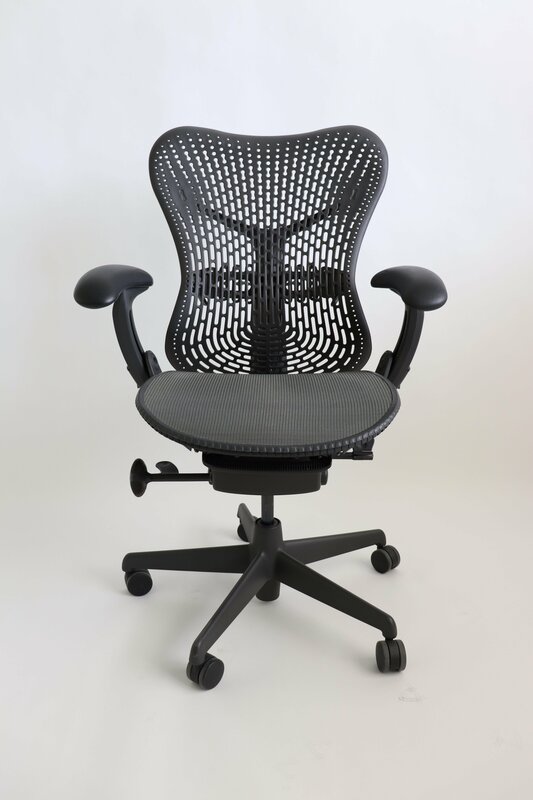 The chair’s Harmonic tilt provides continuous balance and lets the body recline naturally, pivoting at the ankles, knees, and hips. 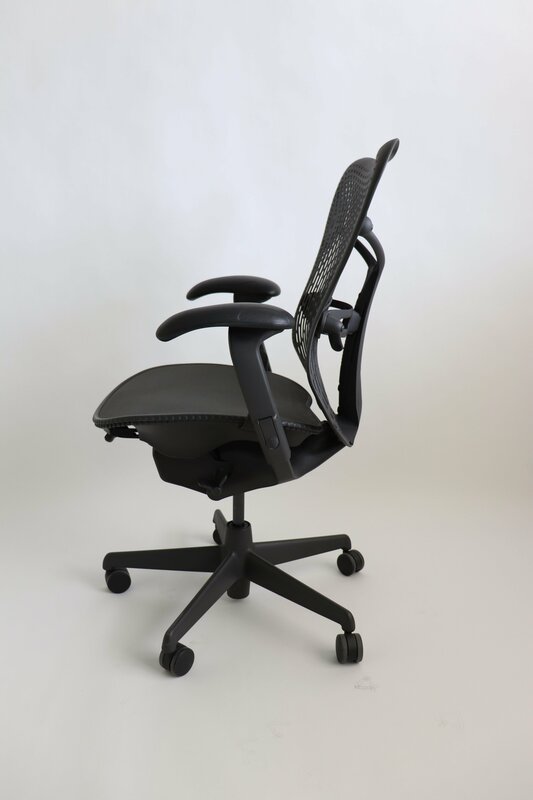 The chair has a 5-star base, tilt lock, lumbar, and adjustable arms, and adjustable seat-depth.